Of all the major industries that requires supply chain optimization, retail might be the top vote-getter. While it may be normal for various goods and supplies to go out of stock, they should be the exception, never the rule. 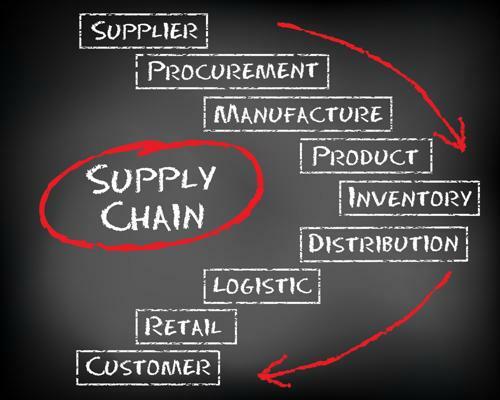 Supplier relationship management and strategic sourcing can help facilitate a supply chain that comes through in the clutch. With this in mind, one of the nation's longest-running department stores has created a position that the company believes will help make all the processes that go into running a major retail operation flow a bit more smoothly. Macy's, the nationwide retail chain founded in 1858, has named Dennis Mullahy to the post of supply chain officer, according to a recent press release. As the company stated in its announcement, Mullahy will supervise the multi-part process of product development and delivery, including - but not limited to - global sourcing, management of inventory, distribution in both the e-commerce and brick-and-mortar realms, as well as procurement. Macy's President Hal Lawton, whom Mullahy will deal with on an ongoing basis directly, said he's delighted with both the hire and the newly created position, as the health and vitality of the supply chain for a nationwide retailer like Macy's can't be overemphasized. "I'm thrilled to have Dennis join the Macy's team as we look to strengthen our supply chain," Lawton said. "We are investing in our supply chain to improve our systems, processes and facilities and to enhance productivity and efficiency." Lawton further stated that with retail being as fierce and competitive as it is today, supply chain leaders are increasingly common, with a manifold of responsibilities that fall on their shoulders. He's confident that Mullahy is the right person for the tasks at hand. Prior to joining Macy's, Mullahy served as executive vice president of supply chain and information technology at Michaels Stores, a specialty retailer that primarily sells arts and crafts materials. There are roughly 1,250 Michaels locations around the country, with company headquarters located in Irving, Texas. Although once one of the more ubiquitous retailers in the country, Macy's has fallen on hard times in recent years, as e-commerce and consumer preferences have forced dozens of stores to refocus their sales strategies in order to remain profitable and better serve their customer base. This has entailed, in part, various cost-cutting measures for the Cincinnati-based department store. In an interview with the The Wall Street Journal, CEO Jeff Gennette said the company's restructuring would likely lead to the loss of 100 jobs. The streamlining of senior management is expected to help the company save $100 million annually. 2019 will go down as the sixth straight year in which Macy's has undergone some form of internal realignment. Only this year, it hopes to maintain - and perhaps add - more sales associates, Gennette told the Journal, workers who are fundamental building blocks of a well-oiled supply chain. "We figured out how precious those sales associates are," Gennette said. The Journal noted that in several of Macy's most highly trafficked stores - such as at Herald Square in New York City - the hiring of customer-facing staff has borne fruit in terms of sales.